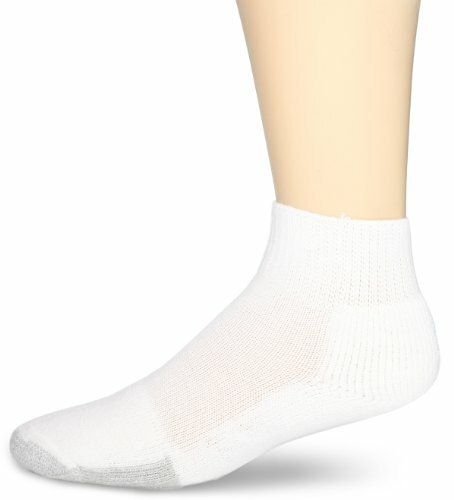 Thorlos Men's / Women's Thick Cushion Tennis Mini Crew Socks maximize shock absorption so your feet feel better. Protect your feet from impact and blisters in these mini crew socks. Thick cushioning, in the ball of foot and heel, pads your steps and extends over the toes for maximum protection when you stop and go-great for activities like tennis. Thorlon acrylic fibers, exclusively developed for Thorlos, wick away moisture to keep feet cooler and drier.